For the second post in our 2017 Gallery Hop series, we're focusing on Japanese prints and works of art, with a 1.5-mile, 6-gallery itinerary that begins on the Upper East Side and takes you through Central Park to reach the last exhibition, in midtown. Total walking time should be about 30 minutes (though strolling through the park may take a while longer). Start at Giuseppe Piva's exhibition at Adam Williams & Moretti Gallery, 24 East 80th Street. Walk south on Madison Avenue to Arader Galleries, number 1016, where Hiroshi Yanagi Oriental Art is exhibiting (as well as several other participating dealers). 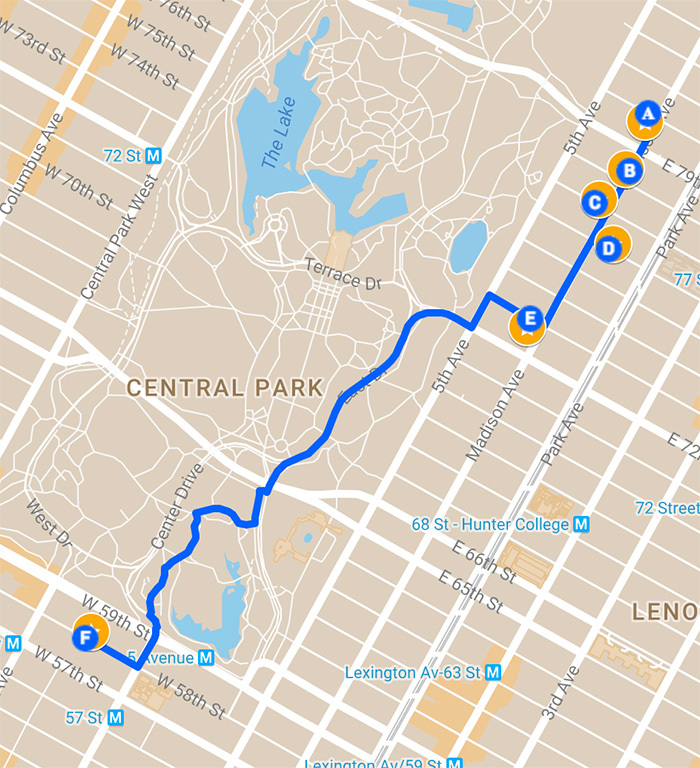 Walk one block south to reach the corner of Madison Avenue and 77th Street. The Art of Japan is exhibiting in Suite 215 of The Mark Hotel. Walk another block south on Madison Avenue. In the Carlyle Hotel, Suite 1806, you can catch additional prints exhibited by Egenolf Gallery Japanese Prints. Continue walking south on Madison Avenue and make a right on 73rd Street. At Gallery Schlesinger, 24 East 73rd Street, you'll find BachmannEckenstein | JapaneseArt.